There are three dining halls at Akal Academy Baru Sahib, each having a seating capacity of 400 students. The meals are prepared at modern and Hi-tech central common kitchen. 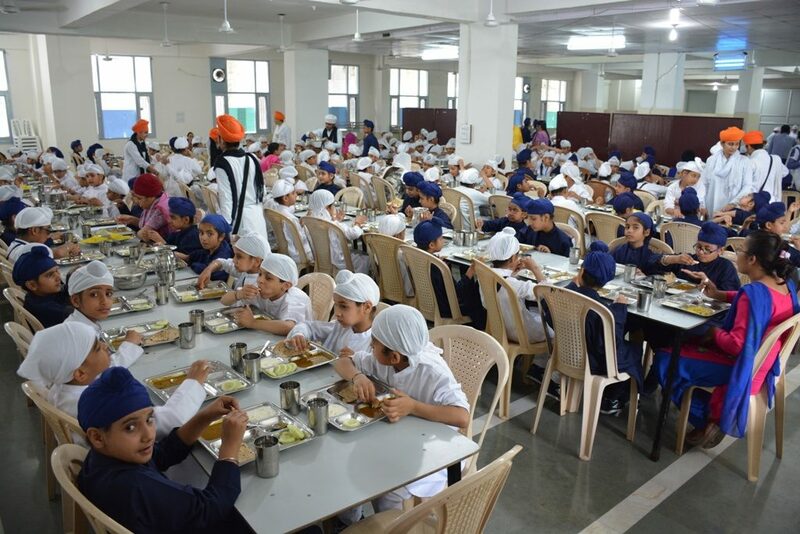 Baru Sahib Campus has one of most nutritious and balanced food served to its students and staff. A full time nutritionist develop the menu and manages the chef’s in-charge. Before serving, the food is inspected and tasted for its quality and nutritional value. At all times the school monitors the hygiene factor. The food is served by trained and efficient stewards. Special focus is kept on the hygiene of work-force of kitchen staff with regular counselling and seminars by industry experts.